Big, surprising changes. They’re everywhere. From Donald Trump being elected as President to APRA intervening in lending practices and a gospel choir performing at a royal wedding – it’s fair to say that we’re becoming an increasingly unshockable community used to rolling with the punches. Over the past two years, I’ve written extensively about changes to the lending market, and their various causes. The impact of APRA’s intervention in lending practices led to an overall tightening of credit – making it harder today to get a loan than it was two years ago. I might be biased, but it’s fair to say that working with a broker in these heady days of changes to lending practice makes more sense than it ever has before. Most mortgagees of today set up their loans before these changes started to take effect. Many will remain unaffected by these changes – that is, until they day comes when they seek to make amendments to their loans. Want to borrow a bit more money for a renovation or refinance to consolidate some debts? 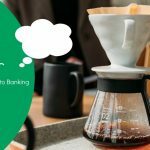 It’s still absolutely achievable to do so … but there are some differences in lending practices you’ll notice immediately. There is one class of existing borrower that does need to pay close attention, however. They are those who set up interest-only lending before all these changes took effect. Their circumstances may already have been impacted upon courtesy of these changes, or they’re on the cusp of what could be quite a rude awakening if they’re unprepared. 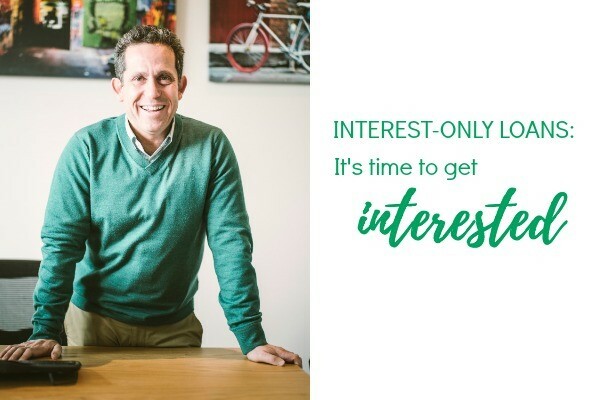 In the last month I have had conversations with several clients who set up interest only lending five years ago. That interest only term is about to expire and they do not want their loan to switch across to principal and interest for various reasons. Many people find themselves in this position, and have a dilemma on their hands. In short, the problem they face is that their existing lender won’t give them a further interest only term – and other lenders won’t give them a loan at all as without additional income they cannot demonstrate that they can afford their loan. Before you reach for the Rescue Remedy, I’ve some good news. Interest only borrowers will find that the interest rate on their loan will drop when the loan reverts to principal and interest repayments. The bad news is that despite the drop in their rate, their total monthly repayment will be higher as they are now required to pay off some of the principal each month. Whilst paying off the loan is a good thing leaving them in a better financial position in the long run, it’s of little comfort when cashflow become strained in the short term. A husband and wife with two kids have a $500,000 home loan set up in 2013 with a 5 year interest only term. They want another 12 months interest only period as the wife will not return to full time work for another 9 months until their youngest starts Prep in Feb 2019. Their current repayments are approximately $1,854 pm (interest only interest rate – 4.45% pa). If the loan reverts to principal and interest, then repayments will be $2,611 per month (principal and interest rate – 3.9% per annum over remaining term of 25 years). So even with a decrease in rate of 0.55% repayments will increase by $757 per month (or $9,084 per annum). For those with interest only loans that will mature in the next 0-3 years, this is a big increase in their monthly commitment. If they have not already done so already, they need to start planning for that change. In the example above, the couple has around $10,000 in a redraw/offset account, which means they can draw on that to supplement their cashflow and get them through the next 9 months until the wife returns to full time work. At one point in time, regulators reported that interest only loans made up for 40% of all lending, so the impact on borrowers and the economy as interest only loans roll over to principal and interest repayments will be sizeable. Expect to see many borrowers cutting discretionary spending to afford these higher repayments. It might also force some stay at home parents back to work sooner than planned. For investors, this scenario plays out a little differently. They will more often than not still have the income to show that they can afford the loan, but banks may still be reluctant to offer further interest only terms – and if this becomes widespread, then expect to see more investors selling their investment properties which might drag property prices down. Now could be an excellent time to acquire additional investment properties should the market stabilise or deflate. Take action and avoid paying too much on a loan simply because you cannot face the administrivia or refinancing. Let your Hatch broker help – that’s what we’re here for. If you have your homeloan under control, consider making your repayments principal and interest to build up equity. It’s likely that property prices won’t significantly move, so you’ll begin to pay down your debt. Don’t be afraid to use savings to help cover loan repayments – that’s what you’ve saved for!